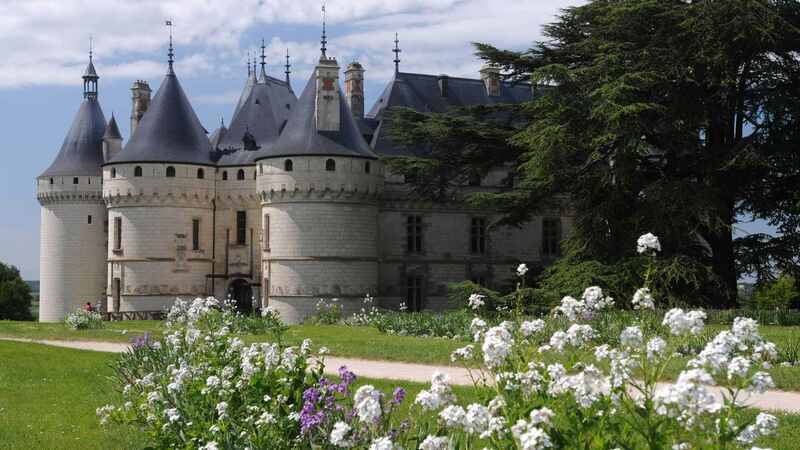 Two days in the Loire Valley will give you plenty of time to explore several Loire châteaux! 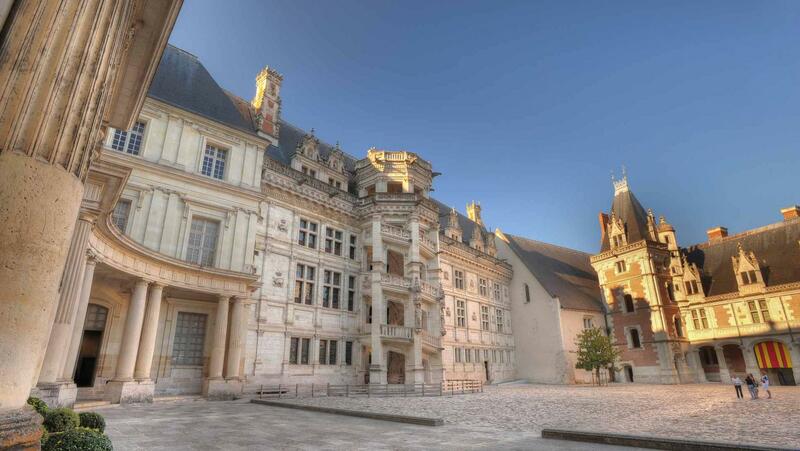 The starting point of your itinerary is the city of Blois, which is just 1hr 45min by car from Paris (185 km) and is easy to travel to in a hire vehicle. If you prefer to travel by train, there are two options available: travel straight to Blois in 1hr 25min from Paris-Austerlitz train station, or travel to Saint-Pierre des Corps (near Tours) by TGV in 1hr 15min from Paris Montparnasse or from Paris-CDG airport in 1hr 40min. From there, hire a car or treat yourself to a ride in a tourist taxi. In the summer you can also take the shuttle service. Built on a rocky outcrop, Blois was once the capital of the French kingdom during the reign of Louis XII. 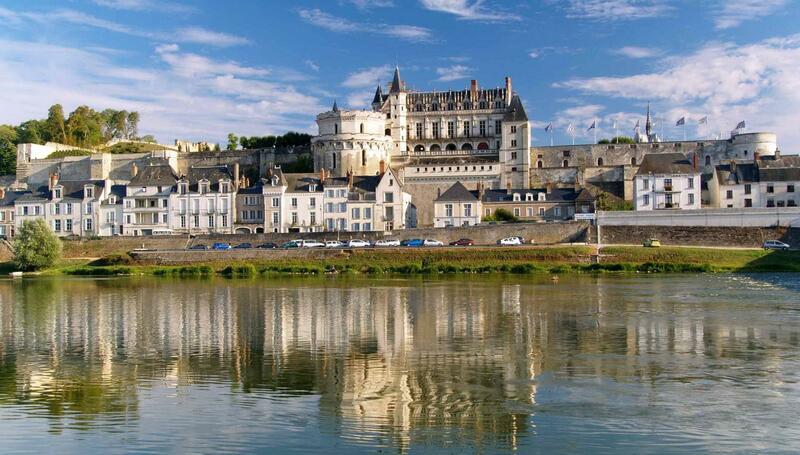 Its royal château overlooks the Loire and the streets of the historic city centre. In the courtyard of the château visitors can admire the monumental staircase on the striking Francis I wing, while the interior reveals sumptuous interiors such as the royal apartments (Francis I wing). After your visit, wander through the city’s streets. Don’t miss the attractive Gothic Saint-Louis cathedral with its tall Renaissance tower, and stop to admire the St-Nicolas church with its combination of Romanesque and Gothic architecture. Choose from one of three delicious venues for lunch on the banks of the Loire. First up is Restaurant Côté Loire, a charming 16th-century house once appreciated by Madame de Sévigné. Alternatively, let yourself be tempted to a gastronomic lunch not far from here at Au Rendez-vous des Pêcheurs. This former grocer’s shop and fishermen’s bar now serves food by Michelin-starred Chef Christophe Cosme. The third venue is L’Embarcadère, with its local boat-builders’ style and terrace overlooking the Loire. After lunch, continue in the direction of Chambord (30 minutes’ drive away - 17 km) where the sumptuous château of Francis I awaits you. 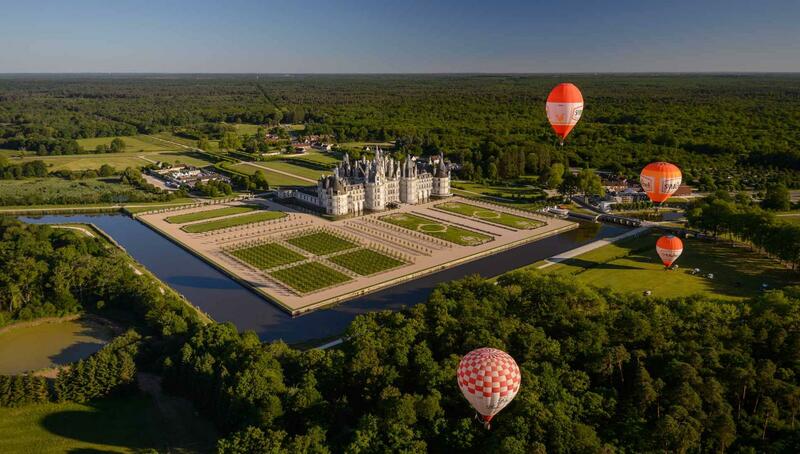 To explore Chambord’s immense park, take your choice from a range of options: on foot, in a horse-drawn carriage or on an electric boat or rowing boat on the river Le Cosson. There are also 15 km of cycle paths on the estate, so you can go for a bike ride on your own or as a group on a multi-person bike! Continue on to the Château of Cheverny, 30 minutes from Valençay (18 km). This stunningly white château boasts finely furnished and decorated Louis XIII interiors, such as the Guards’ Room with its sumptuous fireplace. Outside, the Apprentices’ Garden and vegetable garden are also worth a visit. If you fancy a more unusual visit of the park or canal, climb aboard one of the estate’s small vehicles or electric boats. After your visit, head over to the Maison des Vins in Cheverny, situated just opposite the château and where you will discover local PDO Cheverny and Cour-Cheverny wines for tasting. Choose from two hotel-restaurants for dinning and accommodation. 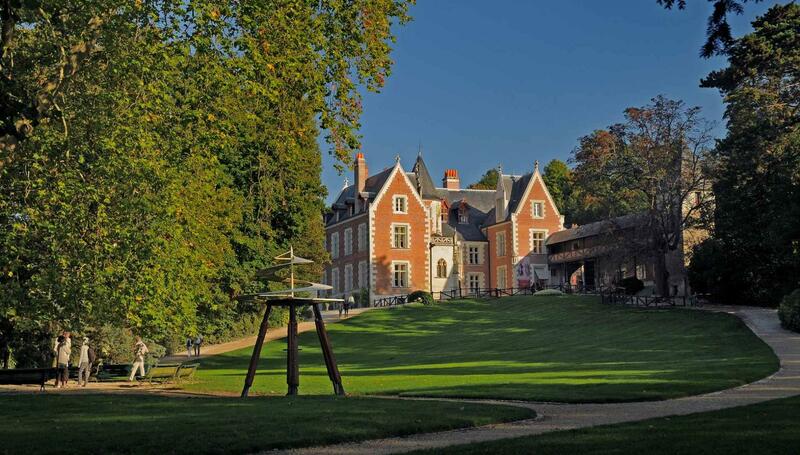 The first, Le Manoir de Contres, is 15 minutes from Cheverny by car (10 km) The second, Le Domaine des Hauts de Loire, is 10 minutes from Chaumont-sur-Loire (7km). Situated on a spur at a height of 40 metres, the Château of Chaumont-sur-Loire offers unobstructed views of the Loire. Allow 30 minutes to get there by car from Cheverny (29 km). Its drawbridge won’t fail to entice you from the outset, and the château boasts equally impressive interiors, notably with the Neo-Gothic fireplace, Gothic spiral staircase and Catherine de’ Medici’s bedchamber. 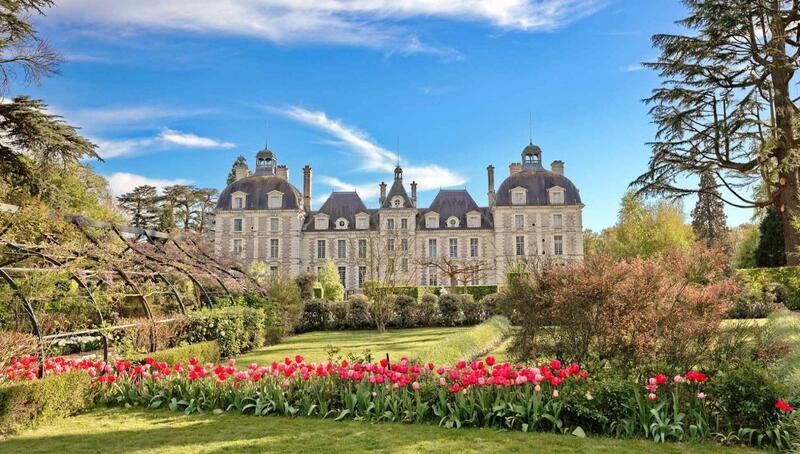 The château is also and above all known for its gardens, which play host to the International Garden Festival every year. From April to October, thirty or so landscape creations are installed in the gardens, and works by various artists are distributed around the park and château of the first estate to be listed as an Arts and Nature Centre. Have lunch at the château in one of the restaurants on the estate. Situated just 15 minutes from the Château of Chaumont (17 km), the Royal Château of Amboise and its gardens majestically overlook the Loire. It even played host to several French kings during the Renaissance. In the royal suite, visit Henry II’s bedchamber, the splendid Council chamber and the Louis Philippe room. Last but not least, don’t miss out on the Saint-Hubert chapel which is the final resting pace of Leonardo da Vinci, and admire its magnificent stained-glass windows depicting the life of Saint-Louis. If you’re feeling a little peckish after your visit, stop by at Pâtisserie Bigot on Place du Château or the Renaissance-style L’Auberge du Prieuré restaurant in the Château of Le Clos Lucé park run by Sieur Sausin, an expert in historical cooking. Leonardo da Vinci was invited to the Château of Le Clos-Lucé by Francis I and arrived here in 1516, bringing with him the Mona Lisa and other major works. He spent his final years working here on various projects for the King and died in his bedroom in 1519. Discover the life and multiple talents of the Renaissance genius during a visit of his home with its rooms and models. To return to Paris by car, allow 2hr 10min from Amboise (226 km). If you are travelling by TGV train, go to the station in Amboise. Allow 1hr 40min to reach Paris.